If your clothes are taking longer than usual to properly dry, this is probably because of a blockage inside of your dryer vent which is preventing the air flow from efficiently flowing. Having a professional dryer vent cleaning service is very important as it will help your dryer properly operate which also helps to expand the dryer life. The wasted energy your dryer is using will stop and also then lower your electricity bills. Not only can cleaning your dryer vents majorly help you and your money, but just as well can protect you and your home as a blocked dryer vent is known to lead to potential dangerous fires. 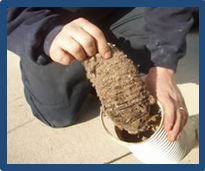 Protect yourself and home and call our expert dryer vent cleaners in League City, TX today. Lint build-up and low airflow coming from the exhaust is a first step staring a fire. Not only is lint highly flammable, it is also one of the most important ingredients for starting a home fire especially if your home is an older one as you probably do not have a duct system that is not up to date for your dryer. When your dryer is letting out proper airflow, it can reduce the drying time which will lower your service costs and assists the dryer to work more efficiently. We can provide you a professional lint removal in League, City, TX using the most advanced and up to date technology, helping your clothes dry faster and increasing the life length of your systems. Give us a call today to have our specialists deliver you solutions for cleaning dryer vent, removing lint, dust and debris in the quickest and safest way.